In 2015, RFOs were invited to provide information on their environmental impacts in the Environmental section of Creative Scotland’s Annual Statistical Survey reporting form for the period 2014-15. From the submitted information, we were able to create this infographic and gain a good understanding of each RFOs impact. 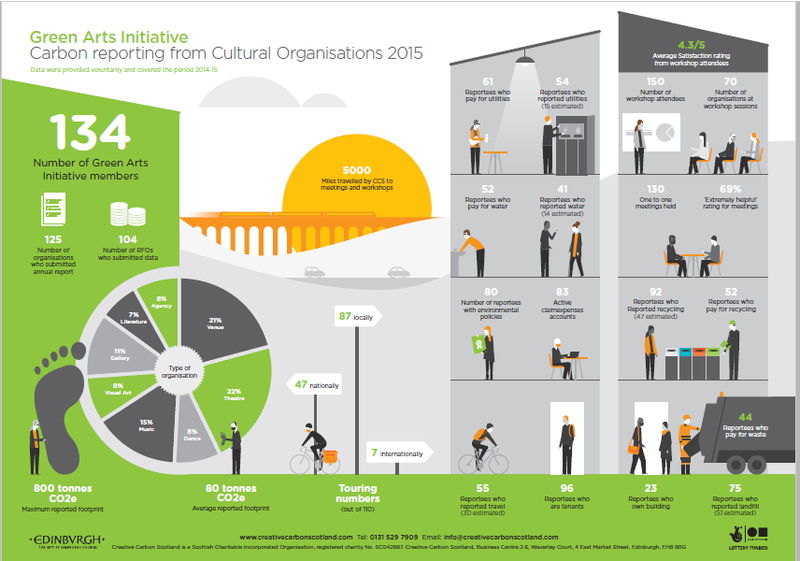 Creative Scotland has now introduced mandatory carbon reporting for all Regularly Funded Organisations which will take place for the first time in Autumn 2016 via their Annual Report to Creative Scotland. This will cover activities funded during the period from April 2015-March 2016. Read more about reporting your carbon emissions here.